I always enjoy creating, whether I’m starting from scratch or making something old into something new. And my most favorite thing to create is something colorful, and lucky for me colorful DIYS for girls is like my daughter’s love language. A little bit of color goes a long way, and a lot of color just makes everything feel happy, whimsical, and fun…wouldn’t you agree? 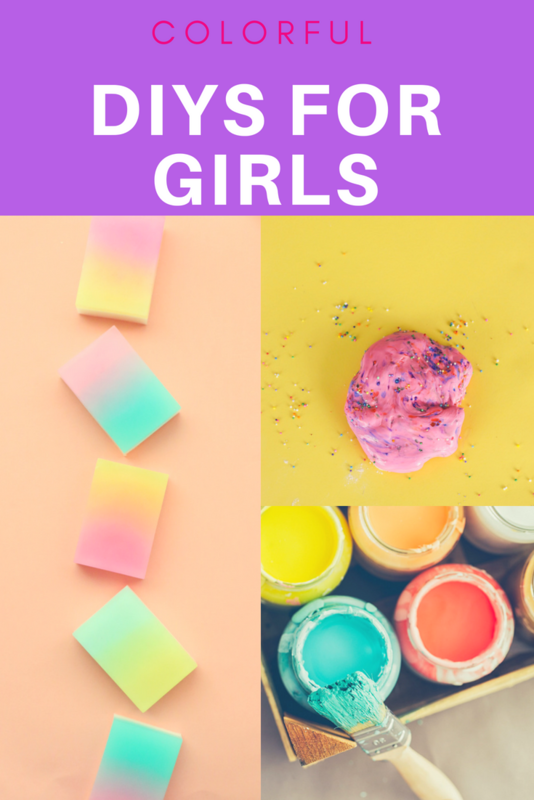 Since we are well into the lazy days of summer around here – I’m going to share with you some super cute and colorful DIYS for girls that are perfect for hosting a craft night or sleepover party, making gifts to give your best gal pals, or crafting at home just because! It’s hot outside. Let’s come inside and get crafting! This summer my daughter has been hosting a fun little craft camp for her friends, so we’ve been searching for the best and brightest projects around. Here are some of my favorites. 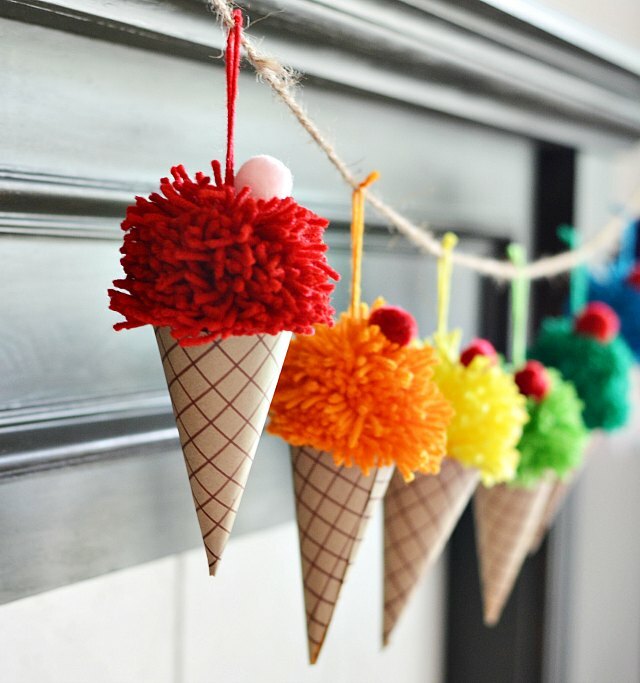 Ice Cream Cone Garland: how sweet for a birthday party, or to add some flavor to any room in the house for the summer season! Didn’t every little girl have a DIY dreamcatcher? I know I did! Remake the childhood magic with this, one of my all time favorite colorful DIYs for girls that includes so many fun things like patterned washi tape, different sized pom poms, and multicolored yarn, feathers, and beads. 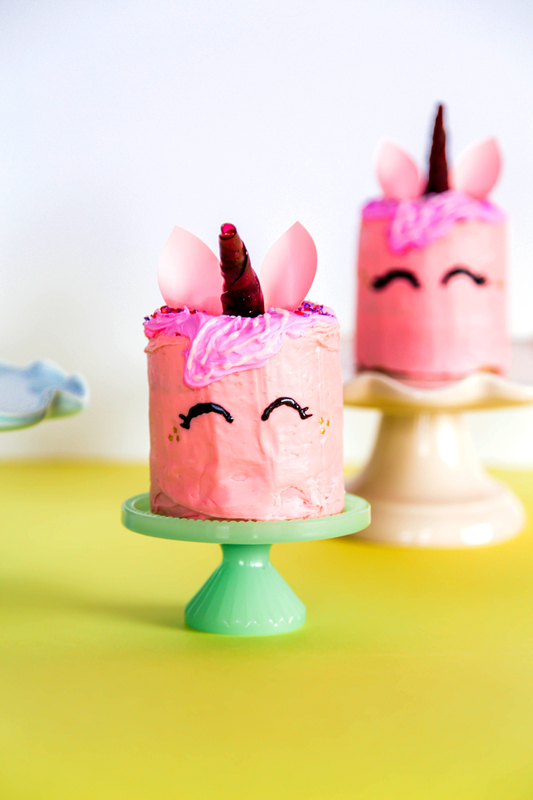 Unicorn Cake is the perfect girly treat to make + eat with your BFFs! For a fun at-home spa day, whip up a batch of this Rainbow Sugar Scrub. It’s got essential oils in it which smell so amazing and will help you relax. Plus, the rainbow colors make it look so pretty in the jar, you can keep what you don’t use out on display to double as a little bathroom decor. Jewelry is so fun to make because it’s usually a lot more affordable than buying from the store, plus you can customize the pieces to fit your style or a specific outfit. I love these Gold Tube Bracelets because they use different colored cording so you can mix and match, or stick all to one hue. 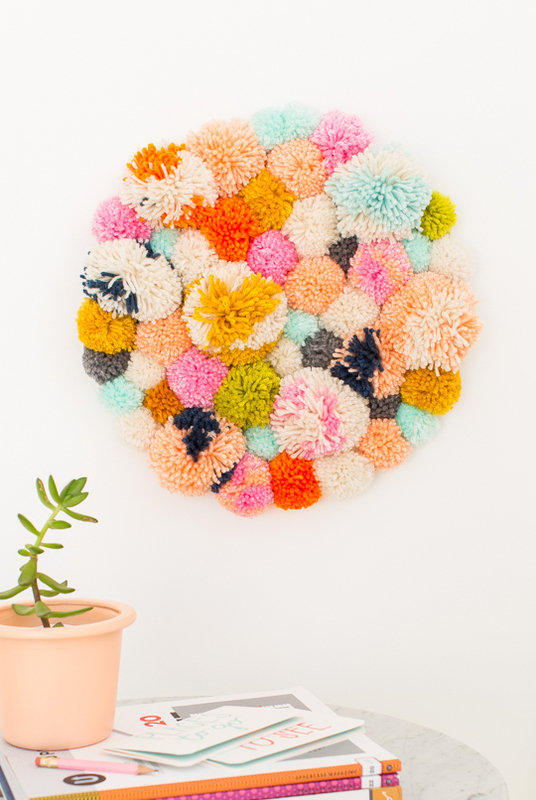 If I ever had to pick between things to hang up on the wall, I’m pretty sure this Pom Pom Wall Hang would be high up on the list. The multicolored poms, besides being totally adorable, bring in so many different complementary shades. This wall hang would be a great way to tie in different colors in a room without needing to have everything be so matchy. I don’t know about you but I definitely prefer my slippers fuzzy. Even in the summertime, there’s just something cozy and home-y about wearing slippers! These DIY Fuzzy Slippers are made from an old pair of sandals I had laying around, so they’re comfortable to wear in warm weather too! 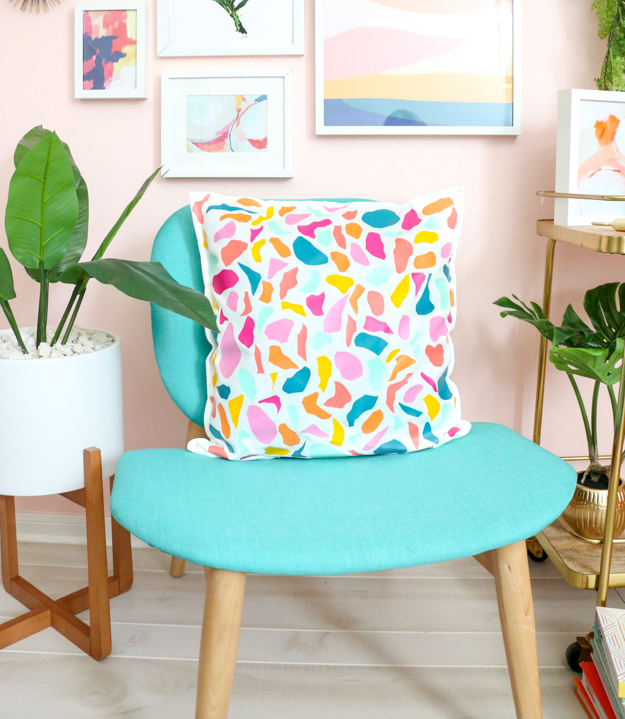 You can cut out and iron on any shape you want for this Colorful Throw Pillow DIY. I think the abstract type print shown above is really cute, but also love the idea of trying out something symmetrical too! I am always scratching my sunglasses so I thought, maybe if a make a bright and shiny case to keep them in, I’ll have better luck keeping them newer for longer. So far, so good! And this No-Sew Sunglass Case is super simple to make…I may or may not have a few different colors laying around from crafting my own colorful DIYS for girls to choose from. I think my second favorite way to enjoy a gummy bear is in soap-form. 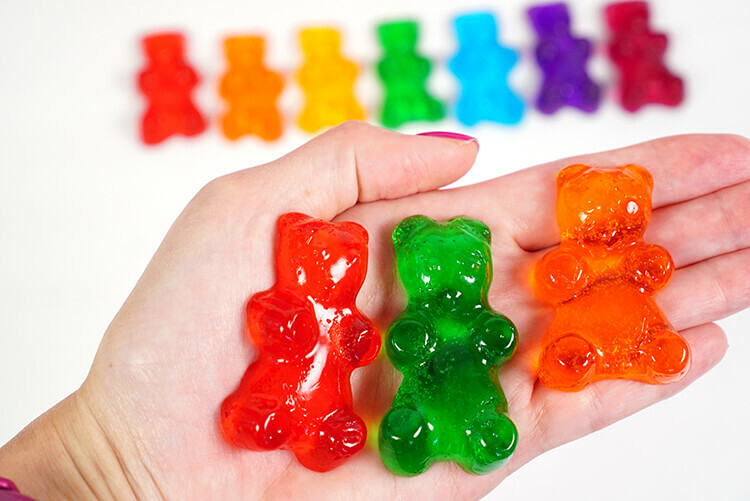 Gummy Bear Shower Jelly Soaps are almost as sweet as the original treat, but instead of making your tummy happy, they’ll make your skin smell sugary sweet! Another use for an old t-shirt: Weave a T-Shirt Rug. You don’t have to own (or borrow or have some sort of access to) a loom for this project! The DIY includes a homemade loom too…they really thought of everything! 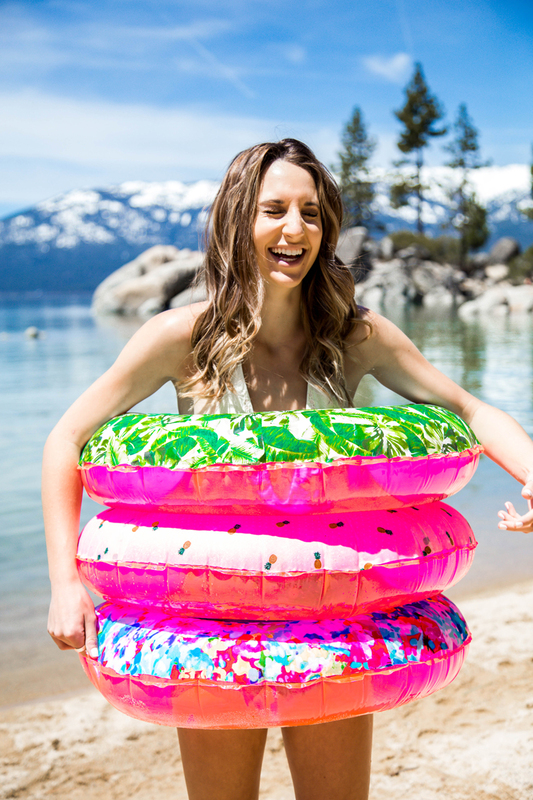 Painted Fabric Pool Floats: perfect DIY for a summer spent poolside. Mix and match your favorite patterns and make a few for pool days with the girls! I love a good read but hate wrecking my nice books with bent corners. If you feel the same way, but also like your beloved books deserve more than just a piece of copy paper, these Leather Tassel Bookmarks are a pretty way to mark a page. And they make great gifts for the other bookworms you know. 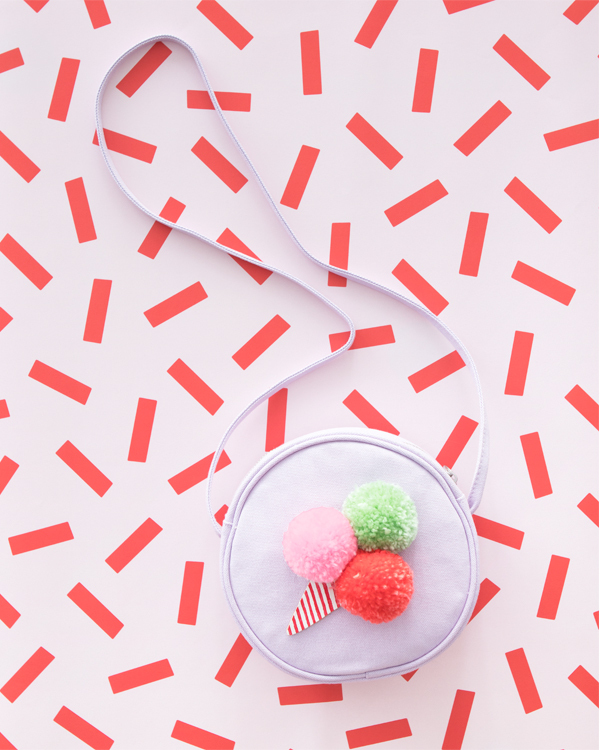 Ice Cream Purse: the perfect little purse for a quick run to the store…bonus point if you’re going for ice cream! Right now I’m all about the tassel trend and would love to try out these DIY Tassel Earrings! I love the layered look and the different shades of color. 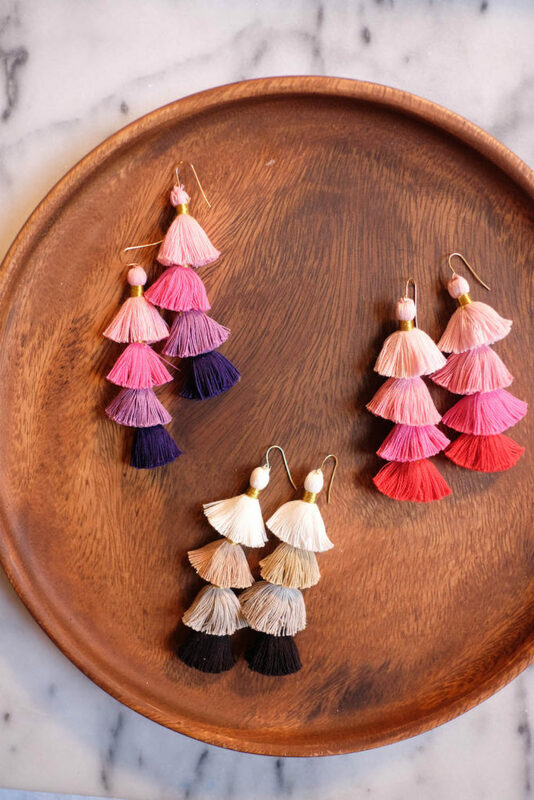 These pretty color patterns are also a tassel earring favorite. Cupcake Bath Bomb: the sweetest indulgence for any girl, from a little princess to the queen of the castle! Can’t wait to pour myself a glass of wine and climb into the tub with one of these sweet bath bombs. Looking for a good gift idea for your best girls? Or for something you can make together? 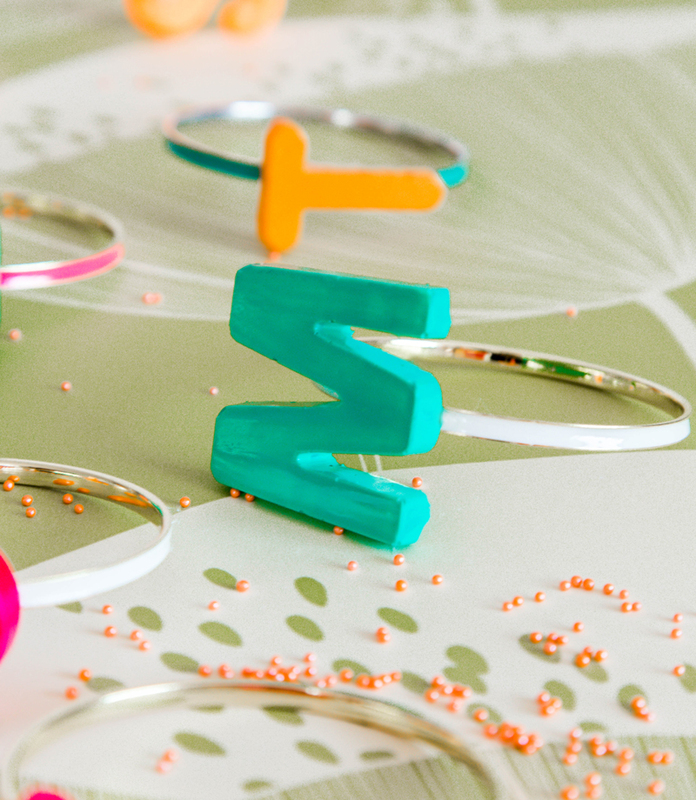 Monogram Bangles are almost like grown up best friend bracelets, with all the nostalgia and some extra bling. Are you feeling colorful? 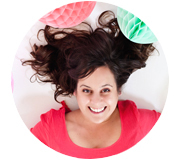 Share with me your favorites from this list or your go-to colorful DIYs. I’d love to know what you’re making!